Tom Nelson, Randy Moody and Steve Eichacker are the new Trustees with the American Simmental~Simbrah Foundation. Courtesy photo. The American Simmental~Simbrah Foundation Gala (auction) was another success. The format was changed this year to include online bidding through liveauctions.tv and entertainment by Trent Loos, a recent appointee to President Donald Trump's Agricultural Advisory Committee. Loos is a successful agriculture advocate who shared a night of laughter with insight on America's agriculture story and how farmers and ranchers can work together to ensure a bountiful future for US agriculture. The crowd exceeded expectations and a total of $46,710 was raised by the end of the night with 48 online bidders. This has been a successful year for the Foundation where an additional $160,531 was raised by Foundation Member Groups in FY2016. The Foundation Gala followed the ASA Trustees Chairman's Reception, which honors the outgoing Trustees and Chairman, and welcomes newly installed Trustees. Thank you to Dale Miller (MT) for your service as 2016 ASA Chairman and to J.W. Brune (KS) and Cliff Orley (PA) for your service as ASA Trustees. Welcome to incoming 2017 ASA Chairman, Brian DeFreese (IN) and incoming Trustees Steve Eichacker (SD), Randy Moody (AL) and Tom Nelson (MT). The World Simmental Fleckvieh Federation Golden Book Award honors members who have made a major contribution to the Simmental Industry. 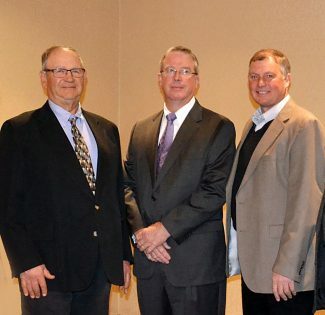 This year the awards went to Jim Berry (IL), Dr. Calvin Drake (KS) and Bill and Jane Travis, Pine Ridge Ranch (TX).